Bring water to a high boil. Combine all ingredients well. Drop spoonfuls into the boiling water and cook for 5 minutes or until the dough floats to the top of the water. 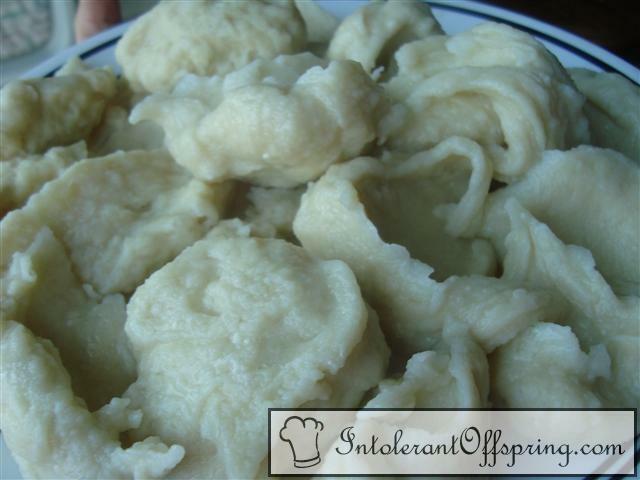 Serve like dumplings or with Chicken Paprikash.